CHICAGO – This week’s What to Watch on DVD, Blu-ray, Netflix, Amazon, On Demand and more is another seemingly random hodge-podge of offerings that you can use to guide your way through the new releases shelf at Best Buy, the On Demand section on Vudu, the store on iTunes, various online DVD retailers and maybe even Netflix and Hulu. Pick your favorites. This is the way we’d rank them if you have a free night or money to burn this week. David Lowery’s beautiful drama was covered more thoroughly in our theatrical review and opens tomorrow at the Music Box Theatre in Chicago (and we’ve already run Matt Fagerholm’s interview with the writer/director) but you can actually watch it now On Demand and so we wanted to included it in What to Watch. (Another well-received Sundance flick made its On Demand debut recently as well — read Adam Fendelman’s review of “A Teacher”). 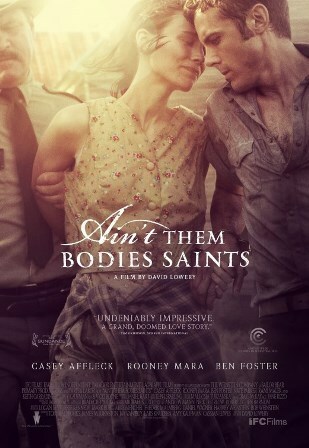 This very Terrence Malick-inspired drama stars Rooney Mara & Casey Affleck as a pair of law-crossed lovers and the great Ben Foster as a cop caught in the middle. I’ve seen it again. You should too. Disney has been unleashing films from their vault over the past few weeks, releasing new HD editions of “Robin Hood,” “Oliver & Company,” “The Sword in the Stone,” “Peter Pan: Return to Neverland,” and “The Muppet Movie.” Now you can add “The Many Adventures of Winnie the Pooh,” one of the most beloved animated films of the ’70s to the list of Disney Blu-rays that your kid might want to celebrate his return to school. This brief gem captures the spirit of A.A. Milne’s creation in a way that it’s become the definitive version that most people think of when they imagine Pooh, Eeyore, Tigger, and the rest of the gang. 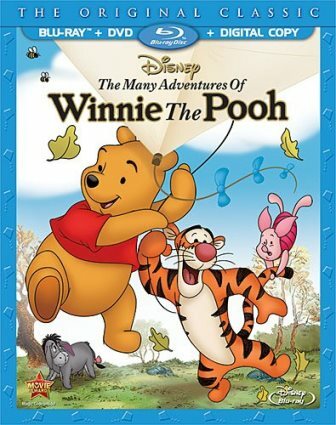 It led to four other “Pooh”-related theatrical features, including the great 2011 “Winnie the Pooh.” The transfer here is great, having a digital copy is nice, and the release is packed with extras, including several short films to please “Pooh” fans. And who’s not a “Pooh” fan? o Pooh Play-Along: The Narrator invites you to play along with Pooh and his pals. 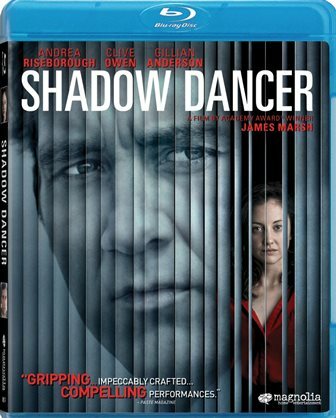 James Marsh’s “Shadow Dancer” is an old-fashioned, finetuned thriller with great performances throughout, especially those of Andrea Riseborough, Clive Owen, and Gillian Anderson. It’s not overly inspired but sometimes it’s not the originality of the tune but how well it’s performed that matters. 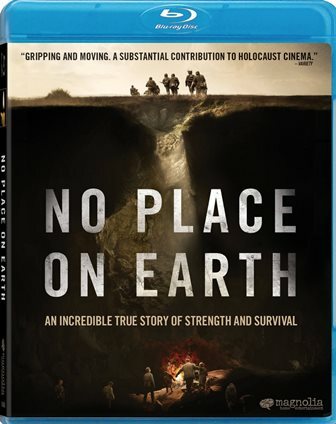 Part documentary, part harrowing recreation, Janet Tobias’ film captures a very rare and previously untold chapter in the history of the Holocaust, chronicling how people actually built a community underground to escape prosecution from the Nazis. The Blu-ray is nicely accompanied by a strong selection of special features, not that common for little films like this one but Magnolia is one of the best studios out there right now for arthouse product. 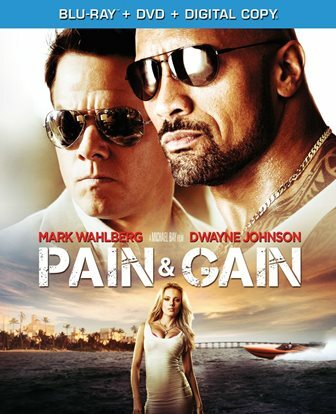 Paramount almost always loads their major Hollywood Blu-rays up with spectacular special features but “Pain and Gain,” the often-clever but ultimately frustrating stab at comedy from Michael Bay, comes without a single piece of bonus material. Weird, right? 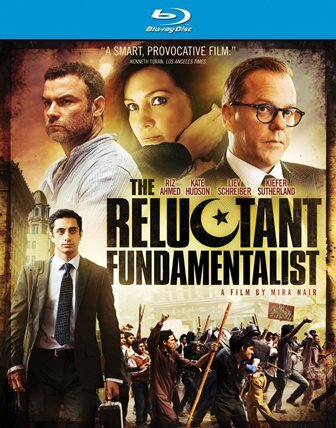 The movie doesn’t work for me as well as it does for some fellow critics but it’s the kind of thing that one could easily describe as a “fun rental on a Saturday night.” The cast is incredibly charismatic & beautiful, the settings are gorgeous, and the story has that too-crazy-NOT-to-be-true viibe that makes for a good time after a long week at work. It’s weird to me that Paramount couldn’t scrape up a single deleted scene, interview clip, or any sort of featurette to accompany the movie for true fans. Maybe there will be a special edition somewhere down the road.